John Clarke is Leader of the Council, he was first elected to represent Netherfield & Colwick in 1989 and still represents that ward today. John is former self-employed electrician and owned his own business. 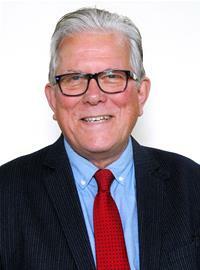 He is also one of the County Councillors for Carlton. He was formerly the Chairman of the Nottinghamshire Police and Crime Panel, after having been the Chair of the Police Authority for ten years. John has been a school governor at many schools across Gedling and is actively involved with many community groups across the Borough.